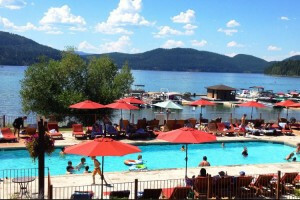 Whitefish Montana Hotels offer comfortable lodgings, great location, standard amenities, concierge services, and service that you can count on to the make the most of your vacation in Whitefish MT. From a luxury or boutique Whitefish Montana Hotel to national chains and budget options, explore all hotel lodging options here. Our 5 luxury suites in Whitefish feature full kitchens w/stainless appliances, California King beds, and balconies overlooking the downtown scene, full of dining and shops. This motel is more like a mid-level hotel with comfortable rooms (single, double & king) with pool, sauna, hot tub, continental breakfast and beautiful grounds. The Firebrand brings urban sophistication & service combined with the atmosphere and adventurous style of NW Montana’s rugged landscapes. Premier dining, lounge & Spa. 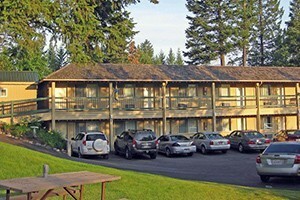 Relax in comfort in this hotel located in the Flathead Valley of Northwest Montana. 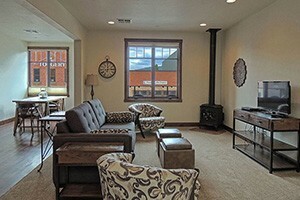 Offering luxury and comfort 30 miles from Glacier National Park. Kids will love our indoor pool and water slide, adults will love the outdoor hot tubs. Great Hwy 93 location (dining) and pet friendly. National name you know, convenient location. Our first-class 150-room inn features 18 business rooms and 6 1-bdrm suites. Classically furnished guest rooms, spa tub, on-site lounge & casino and 12,000 sq ft conf space. Experience true compfort. Book for your next company retreat, wedding or Montana vacation and enjoy our 24-hr pool, hot tub & gym! 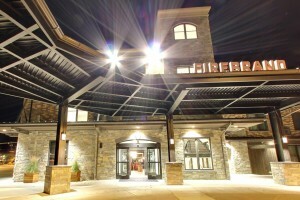 The newest hotel in Whitefish, we offer complimentary airport shuttle service, a salwater pool and whirlpool, fitness center and free hot breakfast. Hotel features wifi, whirlpool and indoor swimming pool. Walking distance to shopping and restaurants. Historic hotel in downtown Kalispell. Delightful and comfortable rooms, with refreshing massages available with essential oils. Minutes from all kinds of outdoor adventures. 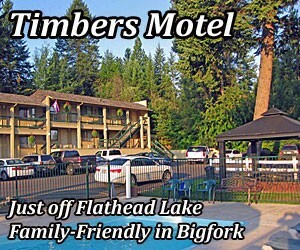 Newly remodeled motel convenient to Glacier National Park, Flathead Lake and miles of wilderness. 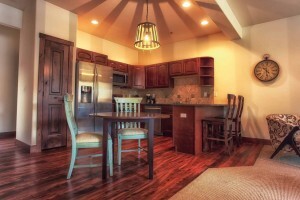 Kitchenettes, air conditioning, cable TV and wireless Internet. The Red Lion Hotel's 170 rooms include plush pillowtop beds, granite vanities, elegant lighting and complimentary Wi-Fi. Breakfast included featuring "made to order" Omelets. Full-service inn located in Bigfork, Montana. Walk to the Flathead Lake pier right in front for a boating tour. Fish, hike and enjoy the views!